Editors Julie Landsman, Rosanna Salcedo, & Paul Gorski sent this recent call for submissions for Voices for Social Justice in Education: A Literary Anthology. 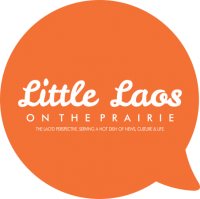 At Little Laos on the Prairie, we’d love to see our Lao American writers contributing to this anthology since so many of us have faced social justice issues in the school system. Their deadline for submissions: Midnight, January 15th, 2014. So, you have a little time to get something in. What they are looking for: Poetry (including spoken word), creative non-fiction, memoir, short stories, images of visual art, and other types of writing or visual art that paint a picture of what justice and injustice look like in our schools. In this Voices for Social Justice in Education anthology, the editors desire writing that brings the reality of schooling to life. They want poems about 3rd period physics, short stories about recess in the second grade one hot spring afternoon. They want memoir about your best and worst teachers. They want essays about what is working now, at this moment, in your classroom—what makes a difference in the lives of your students, what is making your school a place students want to be or don’t want to be. They want to know in vivid language, be it from memories or journal entries, in the form of spoken word or in a carefully constructed short story, what social justice means in schools today. What are your hopes and how do they play out? What matters to you when you walk in the door of your building, when you stand up in front of class, when you are late for your last class of the day? The editors are writers themselves. They love language and they know how powerful it can be, how it can move people, to reach those who can make change. They want your words, your language, your passion to help provoke that change. (5) Remember, they are looking for work explicitly about social justice in education and schools, so great work about social justice that is not explicitly relevant to education schools will not be considered.